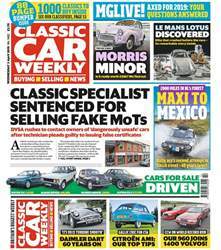 (1 Customer Reviews) | Write Review 52 issues per year Classic Car Weekly is Britain's most authoritative and best-selling classic car newspaper. In every issue you can get the latest classic car news; hundreds of cars for sale; market analysis and commentary; buyers' guides; road tests and the very latest trends. 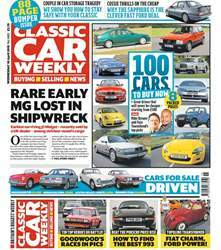 Looking for Classic Car Weekly in print? Unfortunately pocketmags.com does not sell print copies of Classic Car Weekly, but all is not lost. Our partner at magazine.co.uk sells print subscriptions at the best prices online. 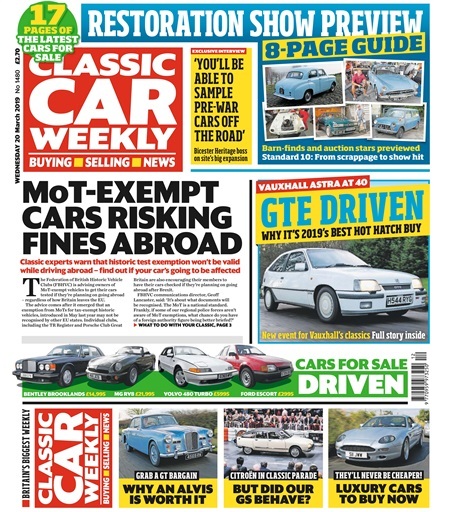 Classic Car Weekly is Britain's most authoritative and best-selling classic car newspaper. 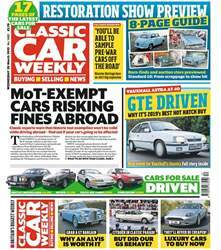 In every issue you can get the latest classic car news; hundreds of cars for sale; market analysis and commentary; buyers' guides; road tests and the very latest trends. You'll receive 52 issues during a 1 year Classic Car Weekly magazine subscription. 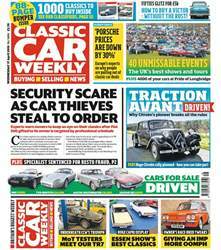 Classic Car Weekly absolutely necessary for any committed classic car owner! You'll receive 52 issues during a 1 year Classic Car Weekly magazine print subscription.